Well, these photos of Europe OUGHT to be postcards! This PowerPoint presentation is being passed around the Internets, so I hope the author and photographer don’t mind my sharing these wonderful images here on my blog! These aerial photographs of various European locations are WONDERFUL! Now I want to visit Europe more than ever! View more presentations from CarolinaRen. Gorgeous greetings from Germany, originally uploaded by CarolinaRen. When it arrived, this very thick and colorful, cheerful card brightened my day — and it has brought smiles to my face many times since! I know this: I will be looking for more Turnowsky! 🙂 Thank you again, kind sender! 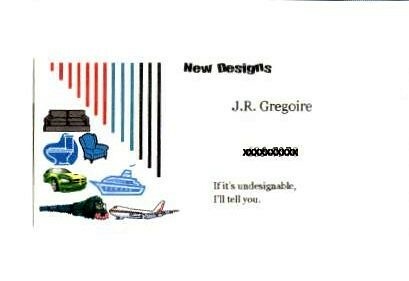 Business card of a 10-year-old, originally uploaded by CarolinaRen. My oldest and youngest children recently opened their own (competing) “businesses” to earn money above and beyond allowance: The Silver Foot and The Happy Foot. You can guess what they do 🙂 My middle child, though, does not like “doing feet.” So he created his own business, called New Designs. Here is his business card. Cute, eh? 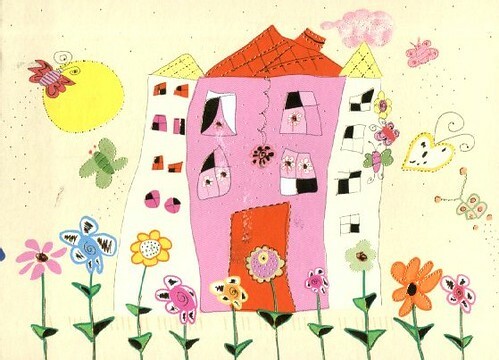 Handmade card, originally uploaded by CarolinaRen. This adorable handmade card came in an order of soap from an Etsy vendor. 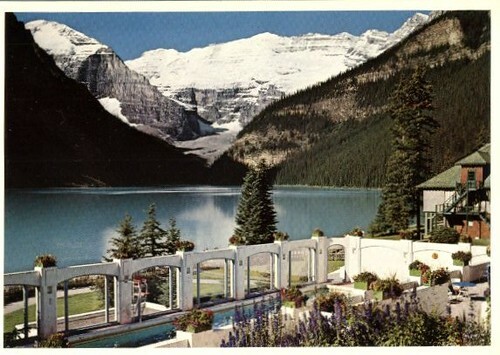 Lake Louise, Banff National Park, Canada, originally uploaded by CarolinaRen. My husband has been scanning albums filled with old family photos–and this card came from one of those albums. We had planned to go to Banff for our honeymoon, but it was not to be; we went to Washington DC instead 🙂 We still talk about going to Banff–maybe for a second honeymoon? Under the Tuscan Sun, originally uploaded by CarolinaRen. 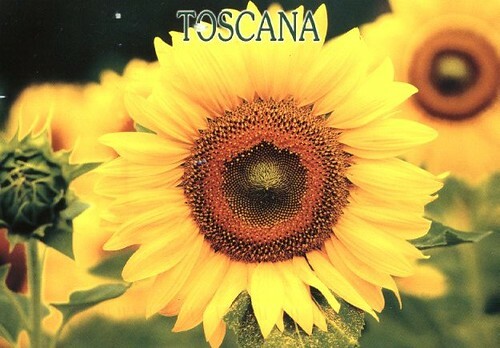 This sunflower–and its postcard, an official Postcrossing card–hail from a little town in the center of Tuscany, another region I would love to visit someday. Souq Waqif, Doha, Qatar, originally uploaded by CarolinaRen. This oversized card comes from Afendi (thank you! ), an Indonesian working in Doha, far from his home. He discovered my blog, commented, and a postcard trade soon followed! 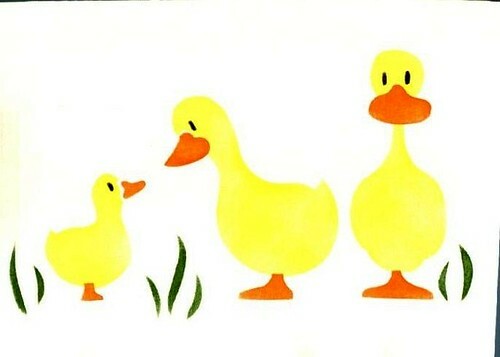 This image comes from a painting by Rosemary Morrell. 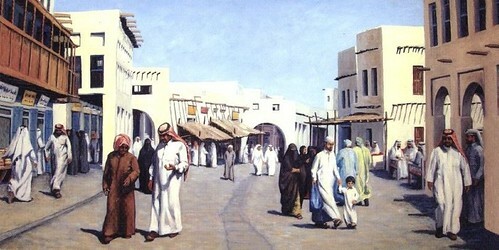 It shows the Souq Waqif traditional market in Doha. Souq Waqif means “standing water” — it is so named because in days long past, Doha was a small village split by the Wadi river, along whose banks vendors would gather to sell their wares. 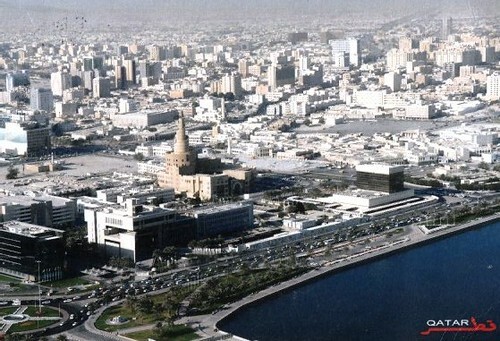 As the water often ran into the streets, vendors were forced to stand — thus the name “standing water.” The Souq has been recently restored and is, according to Wiki, one of the top tourist attractions in Doha! The Oregon Trail, originally uploaded by CarolinaRen. 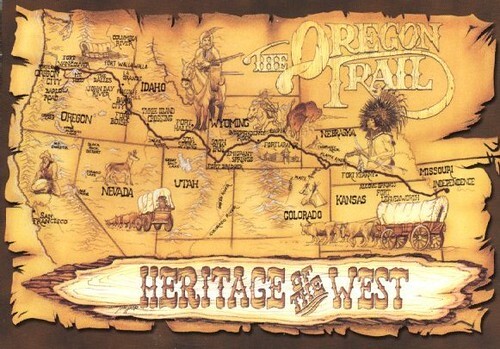 A nice map card showing the Oregon Trail, from a distant (geographically!) relative on my husband’s side. She picked this up for me on a recent trip to Portland–thank you! From the back: “Lewis & Clark [sic] expedition of 1804 paved the way for the westward exodus of an estimated 200,000 pioneers by wagon train along what became known as the Oregon Trail.” Imagine traveling all that way by horse and wagon…. Old Town, Portland, Oregon, originally uploaded by CarolinaRen. 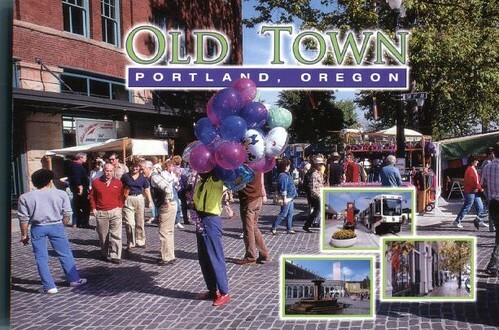 Another card from the same country-hopping relative, this time giving a glimpse of Portland’s Historic Old Town District during Saturday market. Smaller, inset images show the MAX Light Rail, New Market Theater, and Skidmore Fountain.